At Lavish Cosmetic Surgery Clinic we believe that experience and expertise is everything. We are a small team of specialists offering a personalised approach to every individual, in our relaxed and welcoming boutique clinic. 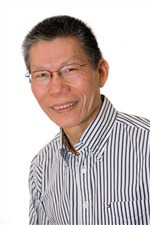 Dr Gary Liew is the director of Lavish. Dr Liew is a fully qualified Plastic, Reconstructive & Cosmetic Surgeon and has been in practice for over 25 years. Dr Jayne Bambit is a surgical fellow of The Australasian College of Cosmetic Surgery and has been in practice for over 15 years. Together with our team, Dr Bambit and Dr Liew are committed to providing the highest quality of patient care, understanding and support in a professional but friendly environment. We offer no false promises, just honesty, integrity and professionalism. Lavish Cosmetic Surgery Clinic was established in 2006 to address the demand for caring and committed professionals in the Cosmetic Surgery & Medicine industry. We appreciate that all women have very special and unique needs. We know that when considering Cosmetic or Plastic Surgery or related procedures, your concerns are often very personal and sensitive. We understand and can relate to the concerns and issues many women experience. The decision to have Cosmetic Surgery is very personal and each individual has specific aims, goals and expectations. It is also very important to be fully informed about, and understand the potential risks & complications involved. Only then can you make your final decision. All surgical consultations are with our doctors personally. We listen to each patient’s main concerns and needs, and tailor any treatments to the individual. We take the time to provide guidance and advice on all options, both surgical and non-surgical, in a professional and caring environment. We will advise and guide you, but of course the final decision is up to you. We take the time to listen to our patients, providing guidance and advice according to their individual needs. We are aware that many ladies can feel intimidated when seeking advice on Cosmetic Rejuvenation procedures and we place a great deal of importance on communication, understanding and confidentiality. Whether it be antiwrinkle treatments, breast reduction or enlargement, a tummy-tuck or facelift, you can be assured that you will be treated with the highest degree of respect and empathy. Females who visit our clinic do so without feeling intimidated or embarrassed. Of course all consultations are strictly confidential. You will never be rushed or pushed to proceed with any surgery or treatment. There are many factors which influence our decisions with regard to cosmetic procedures. Many of us want to make the most of what we’ve already got by enhancing our own personal features to look our best but don’t necessarily want any drastic changes. A subtle enhancement of their own natural features is usually what they wish to achieve. From a technical viewpoint doctors who perform Cosmetic Surgery aim for symmetry, proportion, balance and harmony, however there is no such thing as perfection and one very important aspect of achieving a satisfying result is having realistic expectations. We no longer want to undertake drastic measures to achieve our goal of looking the best that we possibly can, which is why having a female doctor is sought after by so many… a woman understands the needs of women. Preserving youthfulness and looking physically healthy generally promotes a positive self-image and high self-esteem. We believe in the “look good – feel good” approach and advocate making the most of what you’ve got. Most women do not need nor desire drastic surgery to achieve this. Our advice to anyone seeking Cosmetic Surgery is to find an experienced and reputable doctor that you trust, one who has the utmost respect for you and your body and listens to your main concerns. Do not feel pressured or pushed into anything. And finally, trust your instincts and your female intuition – they are usually correct! We pride ourselves on understanding what women want and are dedicated to helping you to achieve a new you. If you would like to confidentially discuss your concerns or have questions for us please use the form below. Dr Bambit studied Medicine for six years at The University of Melbourne. After her year as an intern in 1993, Dr Bambit began surgical training. During this period, she worked on surgical units in the Public Hospital System, including Plastic & Reconstructive, General, Orthopaedic, Vascular and Neurosurgery units. She sat and passed her Part 1 RACS (Royal Australian College of Surgeons) basic examinations in 1994, during her 2nd year as a surgical resident medical officer. This qualification is a prerequisite prior to embarking on further formal surgical training. From 1994 to 1997 Dr Bambit worked as a resident and then registrar on the above surgical units, gaining training and experience in many aspects of surgery. Her last position in the Public Hospital System was as dedicated Plastic Surgery Registrar at Box Hill Hospital, Victoria. Dr Bambit’s passion has always been Cosmetic Surgery. In 1998, she decided to explore all options regarding specific training in Cosmetic Surgery. She met with several colleagues from various surgical backgrounds in order to ask for their advice with regard to pursuing training in her desired field. After much consideration Dr Bambit chose to undertake a mentorship with Dr Bruce Fox in 1999. 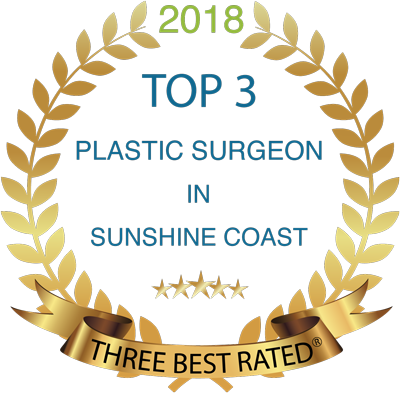 Dr Fox is a highly respected doctor who has been performing Cosmetic Surgery procedures for more than 25 years and during that time has been at the forefront of introducing innovative Cosmetic Surgery procedures to Australia. In 1999, Dr Bambit was accepted to carry out Cosmetic Surgery fellowship training with The Australian College of Cosmetic Surgery. The training prerequisites are very strict. She moved from Melbourne to Sydney in order to commence her Cosmetic Surgery training in 2000. She spent a year in Sydney training with several Plastic & Cosmetic Surgeons. In 2001, she spent a year in the United Kingdom training full time under respected Plastic & Cosmetic Surgeons. Dr Bambit returned to Sydney in 2002 to complete her Cosmetic Surgery Fellowship. Dr Bambit sat and passed her Cosmetic Surgery examinations in 2003 and was officially awarded her Fellowship in 2004. In total, Dr Bambit spent six years at The University of Melbourne studying and training to become a doctor, followed by one year as an intern. She spent six years in post-graduate Surgical Training between 1993 and 1998. She then spent three years training specifically in Cosmetic Surgery, and has been practicing in Cosmetic Surgery since 2004. Dr Bambit moved to the Sunshine Coast and opened her own practice, Lavish Cosmetic Surgery Clinic at the end of 2006. Dr Bambit recommends that all patients should do their research before pursuing Cosmetic Surgery. Patients should check not only the credentials of the doctor, but also the number of years of experience and training the doctor has had specifically in Cosmetic Surgery. For more information about choosing a doctor or deciding on a cosmetic procedure, please download a copy of the Australasian College of Cosmetic Surgery’s patient information brochure, “Things you should know”. Dr Gary Liew is a fully trained and qualified Plastic and Reconstructive Surgeon and has been in practice for more than 20 years. Dr Liew is trained in both General Surgery and Plastic and Reconstructive Surgery and has done training in Australia, New Zealand and the UK. Dr Liew consults at the Epworth Eastern Medical Centre, a state of the art private hospital in Melbourne’s Box Hill, as well as Melbourne Eastern Private Hospital, Boronia. He also consults at Lavish Cosmetic Clinic in Mooloolaba, Noosa Private Hospital and Gympie Private Hospital on the Sunshine Coast. Dr Liew’s impressive professional record includes being a fellow of the Royal Australasian College of Surgery, specialising in plastic and reconstructive surgery including cosmetic surgery, and is a member of the The Australian Society of Plastic Surgeons.